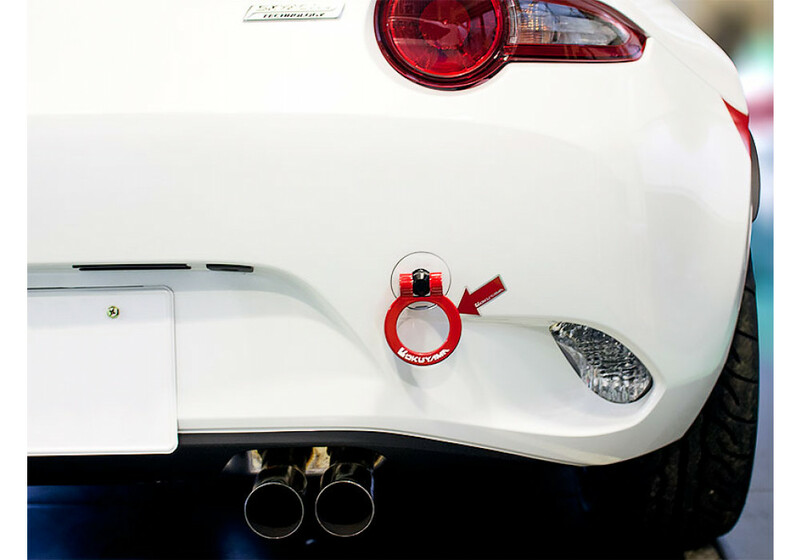 The Carbing flip up rear towing hook for 2016+ ND Miata is made of heavy duty steel and strong enough for emergency use. 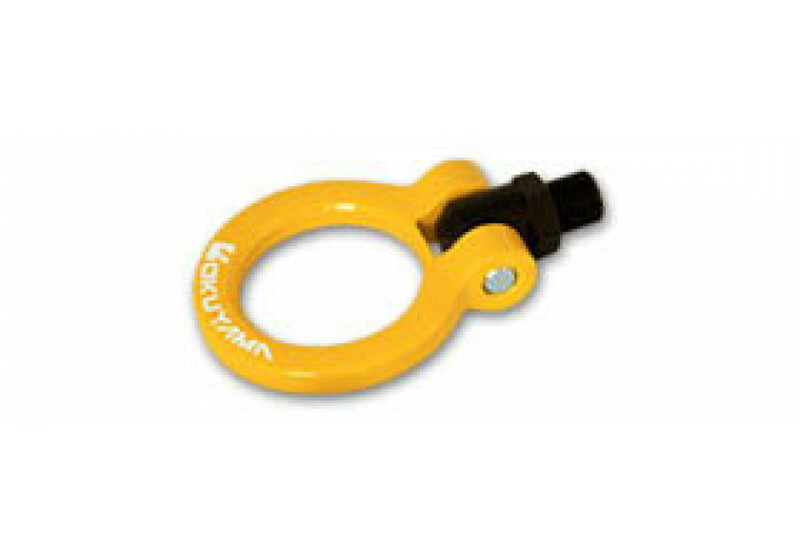 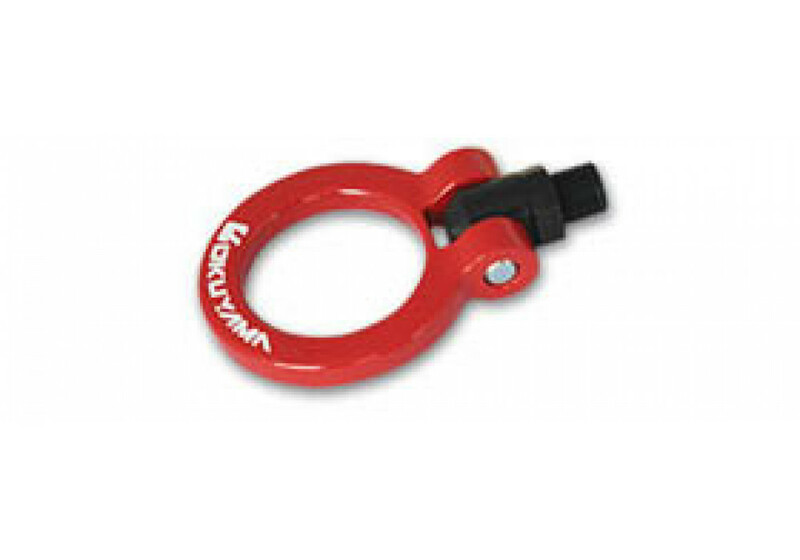 The towing hook has a foldable design and can be folded 90 degrees when not in use (also 0 and 180 degree locks). 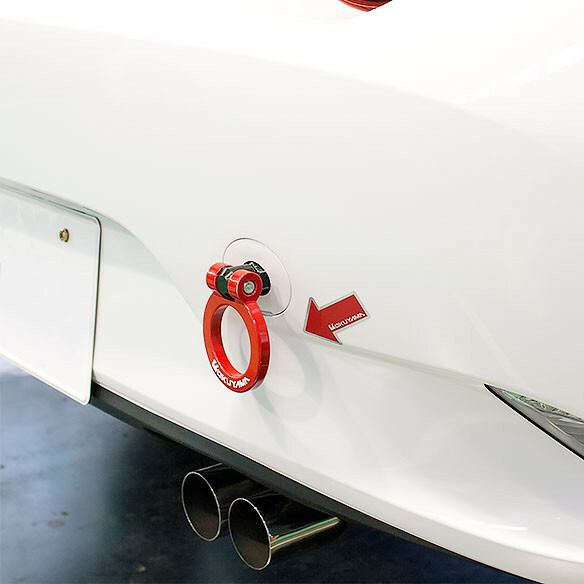 Please note that the removable body panels were cut to fit the tow hooks, it is possible to install them by just removing the removable caps. 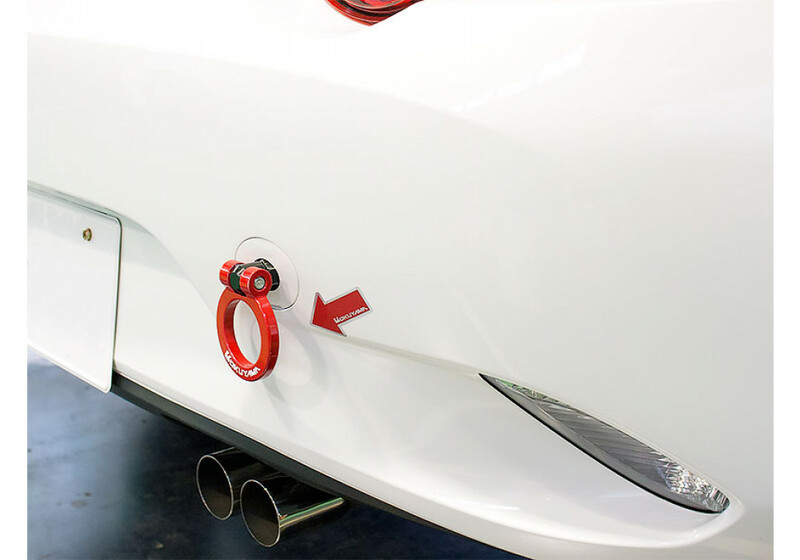 Carbing Towing Hook should be ordered at REV9 Autosport https://rev9autosport.com/carbing-towing-hook.html as they provide the best service and speed we've seen so far!